THE NAME POWELL IS THE MOST RECOGNIZED AND ACCEPTED NAME IN THE PRESSURE SEAL VALVE MARKET TODAY. 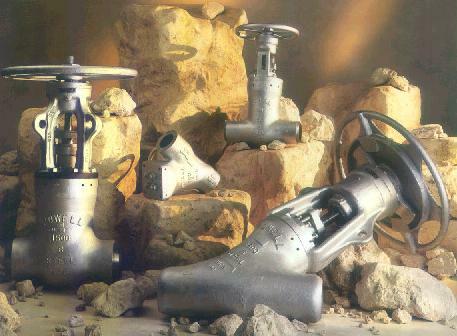 IT'S LONG HISTORY OF RELIABLE SERVICE IN CRITICAL HIGH PRESSURE, HIGH TEMPERATURE APPLICATIONS MAKES POWELL THE PREFERRED VALVE IN THE UNITED STATES POWER INDUSTRY. ASME B16.10 CLASS 600 2� IN.-24 IN. ASME B16.25 CLASS 900 3 IN.-24 IN. API 600 APP. A, STYLE A CLASS 1500 2 IN.-24 IN. MSS SP-61 CLASS 2500 2 IN.-20 IN.